Along with the rest of America, my heart broke this week as I learned about the massacre in Las Vegas. The gun violence epidemic in this country will continue until we get serious at the federal level about stronger gun laws. More than one million people in this country have been victims of gun violence – in just the last decade. These preventable deaths and injuries are a terrible stain on our nation’s character, and they represent a dire public health crisis. The consequences are felt by more than the people injured and killed; these tragedies devestate families, friends and co-workers, and shatter the mental health of bystanders who witness the violence yet escape physically unharmed. And there’s the shared trauma for all of us as we watch, read and listen to the horrible events. I’m reminded of the time in the late-1960s when Ralph Nader and others focused attention on the preventable deaths and injuries from cars. Do you recall his book, Unsafe at Any Speed? Eventually, the focus on automobile injuries resulted in federal legislation that tightened auto and road standards across a wide range – airbags, seat belts, speed limits, consistent highway standards – and far fewer people die now, especially when considering how many more cars are currently on the road. We need to apply the same concerted effort to our gun fatality epidemic. States with stronger gun laws have fewer gun deaths per capita than states with weaker laws. It’s a simple fact. 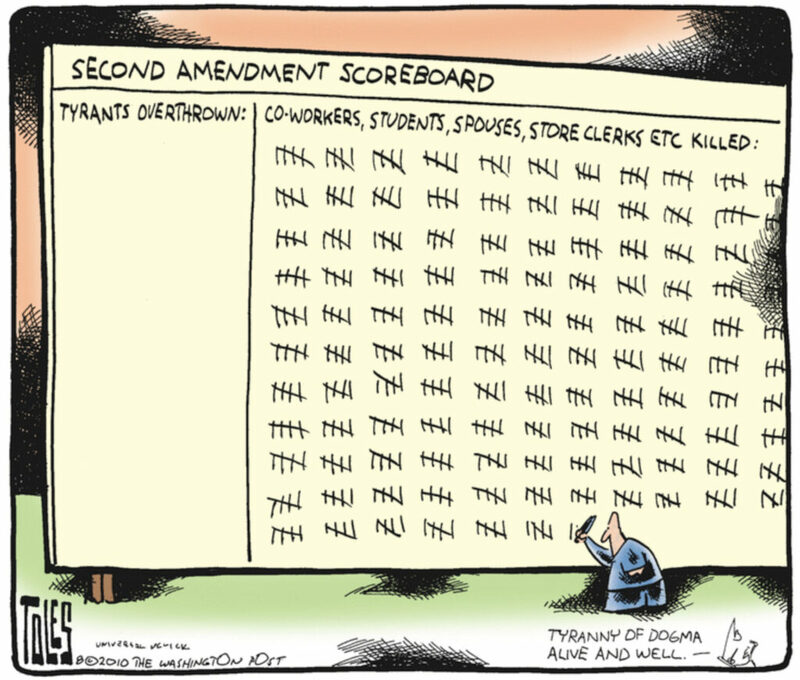 In California, we already have pretty strong gun laws. But we need federal leadership and initiatives in other states because, as we know, no state is an island. Check out the stats on this website – the Law Center to Prevent Gun Violence – for more information. A long history of American jurisprudence has not prohibited regulation of guns. In fact, we’ve been regulating the sale, manufacture and ownership of firearms since 1837. We already prohibit individuals from owning rocket launchers and bombs, so why do we allow civilians to own weapons that operate as fully automatic machine guns that can easily kill and maim hundreds in mere seconds? I know that additional facts rarely change minds; but I’m hopeful that a growing number of people will prioritize gun violence prevention as an urgent issue that needs our collective focus. 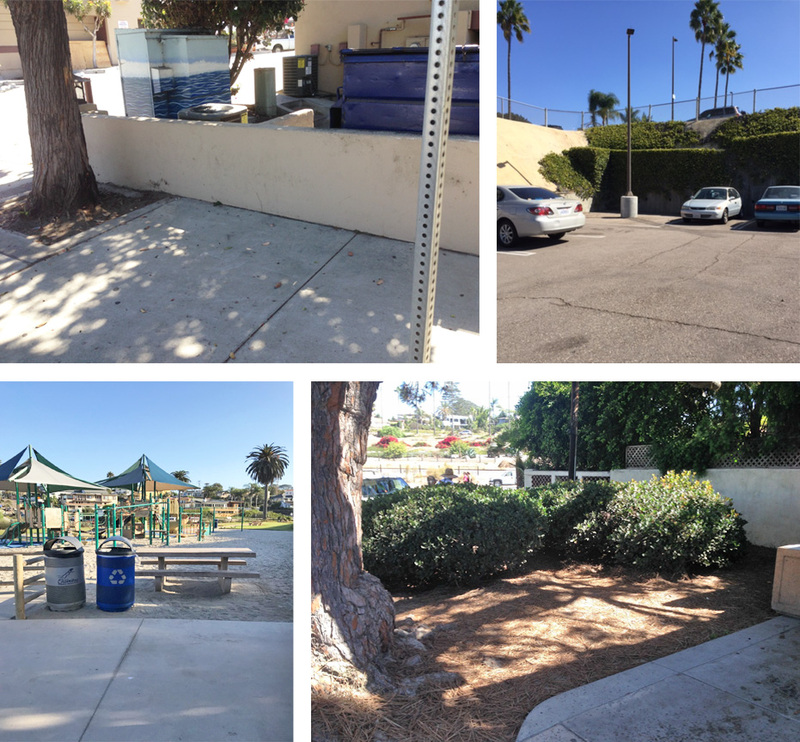 The proposed locations for 24-hour bathrooms and handwashing stations in Encinitas are (clockwise, from upper-left) Leucadia Blvd at 101 (southwest corner) across from Leucadia Roadside Park, southeast corner of the Lower City Hall Parking Lot, which has already been installed, Swami’s Beach and Moonlight Beach. I was thrilled with the quick work of city staff and our lifeguard and parks department who evaluated the city and have proposed four locations for 24-hour bathrooms and handwashing stations. The County is providing the handwashing stations, and the city the porta-potties, as part of our effort to avoid a Hepatitis A outbreak in Encinitas, and as a recognition of the simple human dignity issues that surround having a bathroom available. Apparently in the past, we left our permanent bathrooms open at night and had problems with people sleeping in them, often barricading the doors from the inside. We’re getting porta-potties because these kinds of problems are less common with them, and the potential damage to a porta-potty is less than to permanent bathrooms, such as the ones at Moonlight Beach. I’m happy to see bathrooms and handwashing stations of any type to give people a private and clean place to do nature’s business. The City Council will be discussing voting districts and evaluating potential maps during this coming Wednesday’s public meeting at City Hall at 6 p.m. The following week at City Council, Oct. 18th, we’ll be deciding which direction to go with marijuana regulations in the city. Please share your opinion on both topics at City Council or directly to me via email. Happy fall to you and Prost from Octoberfest!